Overview: Our annual parts swap meet is back and badder than ever. Clean out your garage and sell your extra parts and accessories at WRHD! 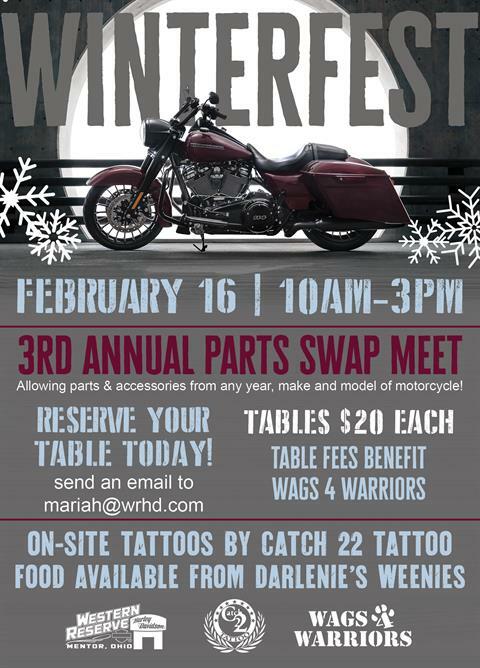 Tables can be reserved at $20 each (all money donated to Wags 4 Warriors) by emailing mariah@wrhd.com. Tables are first come first serve and space is limited to reserve your spot today! Games and door prizes all day - Lunch available Noon till gone.